Local SEO strategy accounts for several additional factors compared to organic search marketing. Many of these factors are considered to be foundational in that they are required prerequisites for being considered for such search features as the Google Local Pack. The remaining SEO factors are considered to be supplemental and are determined by competition within your industry. For foundational Local SEO, there are some clear-cut steps to be taken. For supplemental strategy, there are more in-depth issues to consider. This article is meant to serve as a beginner’s guide to local SEO, as well as a resource for quality sources of learning material and tools to help along the way. Google’s success have been found largely by providing those looking for information with the most valuable answers possible. Their percentage of the Search engine market share is astounding—so much so that terms like Search Engine Optimization (SEO) are really simple analogues for Google Optimization. Google has carved this massive percentage of market share by continuing to evolve their services to meet evolving demands and technology. One such technology having been deeply integrated into the Google Search product in recent years are mobile devices. Consideration for local results isn’t new to this technology, but it’s presence in searches done by mobile users is much more prevelant. For example, someone searching for ‘sushi’ from their mobile phone downtown New York likely isn’t looking for a definition, but rather looking for a restaurant recommendation. Mobile isn’t exclusive to this consideration, and Google has began to more deeply integrate considerations for local businesses into their results for desktop searchers as well. These are seen most prominently in the Local Pack search result feature, but are also illustrated in localized organic listing results. The result of this evolution in technology is that local businesses are now afforded greater competitive advantage for keywords searched for by local searchers. One of the primary aspects of ensuring your local business shows up here, is claiming and properly managing your Google My Business page—a free service from Google. The Google My Business product is a free service provided by Google (often automatically generated) to help discover local businesses. Arguably the most important first step in Local SEO is to register for the Google My Business service. This is achieved by going to the Google My Business sign up page, and entering the requested information related to your business. This enables your business to qualify for prioritized results in the Local Pack results, as well as increases your odds for ranking in organic results for nearby searchers. Before you proceed with this step it’s important to know exactly how you want your business name, address, and phone number to be displayed. This combination is often referred to by SEO agencies as the NAP and contributes to your Local SEO ranking factors when Google recognizes it in other locations. This is also referred to as the NAP+W when your business website is included as well (as it should be!) For example, you want your business to be registered in Google My Business in the same format it will be listed in directories like the Yellow Pages, Yelp, or with the Better Business Bureau. Use of proper Schema.org formats for the inclusion of NAP information. 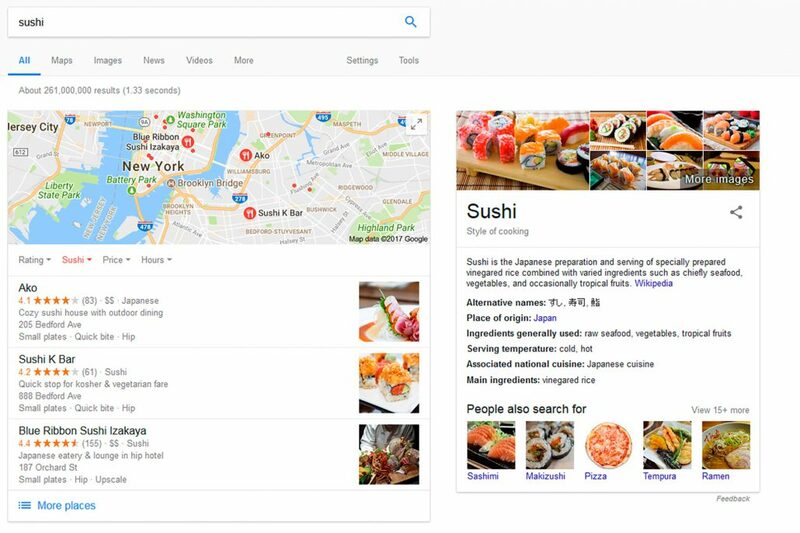 Implementing some of these basic considerations will help ensure that Google recognizes your website content as being directly related to your Google My Business listing, as well as matching NAP listings in directories. Each of these actions are pretty straight-forward, though the proper Schema.org markup can be a bit tricky. 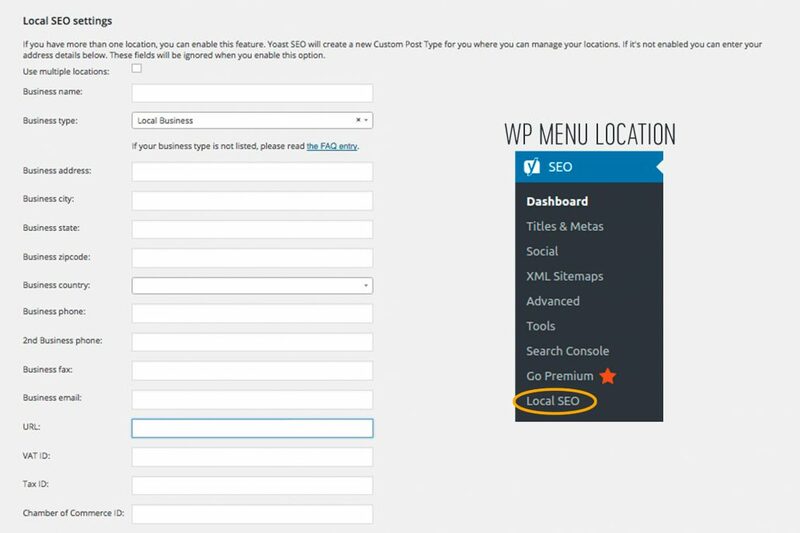 If you’re on the WordPress Platform, you can easily implement this via the free plugin WP SEO Structured Data Schema or the Local SEO plugin by Yoast, which is priced around $69 per site. These types of plugins will help your website present data that is in a easily-discoverable format for Google. These formats are referred to as Schemas, and vary in how they are implemented based on your usage. There are Schema for reviews, products, images, videos, and—you guessed it—local businesses! This type of markup can be inserted into your website manually as well, and a full detailed listing of Local Schema markup conventions can be found here. If you are planning on implementing your own code manually, we suggest using Google’s Structure Data Testing Tool to first ensure your data is properly formatted. This is one of the most overlooked aspects of Local SEO. While writing this article, we spend the better part of an hour trying to find an example of a local business using proper Schema.org LocalBusiness formatted data—and came up empty! To get a better idea of considerations to be made for Local SEO schema, check out this great article by WhiteSpark. The NAP+W format business listing is one of the strongest Local SEO factors you should consider. 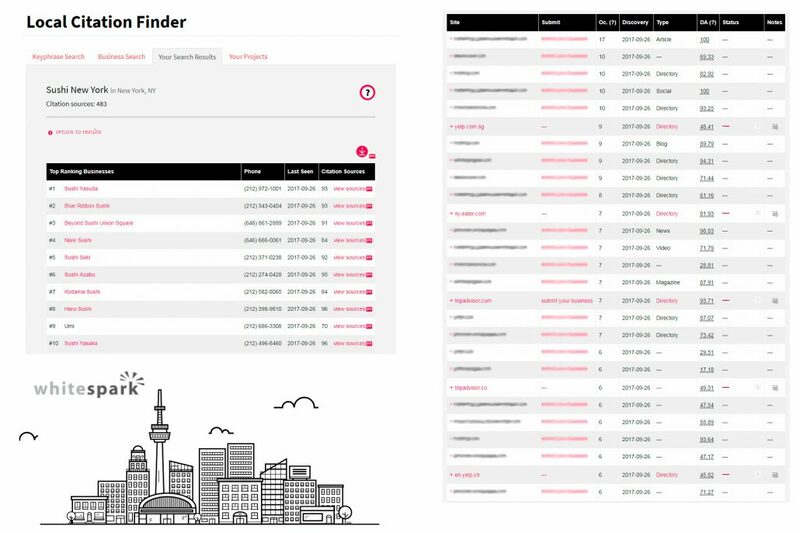 You want to have your business listed in the same format, with the same information, in as many key locations as possible. However, this ranking factor is more than just a numbers game. 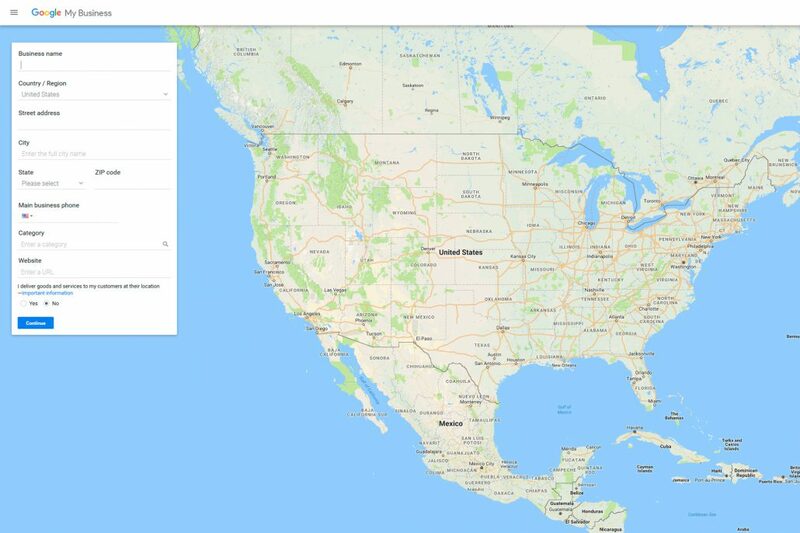 Google knows that actual businesses list their information in certain locations. Google also knows that a lot of other locations often contain fabricated or inaccurate business information. Fortunately, there are some really great (and really affordable) SEO Tools available to help you accomplish this. One of the largest enterprise-level SEO Tools is the Moz toolset. They help websites do keyword research, measure domain ranking potential, and also have a very powerful Local SEO toolset. To get a quick idea on how getting local citations for your business—enter your information into the MOZ Local Business Checker. This service provides an accurate initial discovery of how your business already appears across the most important directories. In addition, this tool can help to remove duplicate data, correct inaccurate data, and also automatically register data among these directories. This tool is as trustworthy as they come, and will likely get your business a leg up in the Local SEO battlefield. Other notable tools that can help accomplish these tasks and more are BrightLocal, WhiteSpark, Yext, Synup, and Advice Local. These tools can all be used to better manage your Local SEO footprint initially, and often all that is needed for most small businesses. One notable tool is the White Spark Citation Building Service, which automatically submits your business’ information to relevant directories. The WhiteSpark Local SEO Service Identifies local competitors, their citations, and identifies citation opportunities for your website. There are a lot of local SEO strategies that can be enacted to provide a fuller presence for your business in search results. These range from geotagging photos to soliciting customer reviews—and range in their potential impact. For example, proper geotagging of images uploaded to your website won’t be a strong ranking factor likely, but will improve your visual presence. On the other hand, establishing a funnel to encourage a steady flow of reviews of your business will have a tremendous impact. Testimonials & Reviews are both powerful tools in helping to establish local dominance over search terms. Again, you’ll want to ensure you use the Schema.org review format to ensure Google recognizes these testimonials. For actual reviews you’ll have little control over the flow of information. These are reviews left on websites such as Yelp and Google+ that will be used to shows searchers an aggregated ranking for your business. It’s been shown that negative reviews don’t have as much impact on your CTR in Local Search results as review number does. That means, it’s worth getting as many reviews as you can (in most cases) even if that means a few negative ones. There’s a lot of different ways to politely request reviews from your customers, though we find followup emails with a link help to maximize results. WhiteSpark has a great Google Review Request Link Generator that can generate a link to email customers. Adding images to your website with embedded location data via EXIF editing software, or Geo-enabled devices such as smart phones can help relate content to your business. If you run a restaurant for example, embedding this type of data into images of your location can be beneficial. While this type of data isn’t always easily understood, or produced, the Schema.org ImageObject conventions can be used to communicate this to Google. It’s noteworthy that pictures posted to social media by patrons of your business will usually include location data. These images will become associated with your local listing in Search Results in many cases. A general rule to understand how Google finds ranking signals for Local SEO is to consider what normal local businesses do. Local businesses have their NAP+W found on local events pages, local school donor pages, local newspaper ad sections, and local directory sites like your city’s Craiglist postings. These are all forms of advertising that will generate their own ROI, but will also contribute to generating an SEO ROI over the long term as well. Depending on your budget, donate to schools, sponsor local events, and even create scholarship funds at local educational institutes. It’s a tax-deductible excuse to do some Good Will all while working to increase your local SEO keyword positions. Depending on the competitive nature of your niche, your business may need more than just local citations and a Google My Business registration to compete. In times such as these, traditional SEO methods such as guest posting and publishing engaging and niche-relevant content come back into play. If you’ve been in business for a number of years, chances are you have a greater understanding of many facets of your industry than your typical customer. This comes about naturally by spending all day every day focused within your field, while your buyers rarely spend more than a brief period of pre-sale research. Channeling insightful knowledge related to your industry or services can have a very positive impact on long term SEO. This type of content helps to build a strong contextual relationship between your website and certain keywords in the eyes of Google. Additionally, this type of informational and engaging content is much easier to get other websites to link to. If you were a local car insurance salesman, do you think other websites would want to link to your pricing page—or an article about the first car insurance policy ever written in the United States? Starting a blog is a great way to ease into this approach, and usually as much as is ever needed for small businesses. For more competitive niches, well-researched content that you’ve invested time and money in (market research, competitive analysis’, industry whitepapers, etc) can establish some broad-reaching authority for your website. In 9/10 situations, Local SEO can be successful simply by showing up to be considered. The vast majority of small businesses haven’t invested in SEO for their company despite the growing impact it has. This article outlines some very basic principles of Local SEO practices, though shouldn’t be taken as a comprehensive guide. Local SEO isn’t like traditional SEO, and every businesses’ local competition requires unique consideration. There are local-specific directories to register for, State-specific directories, different regional considerations, and different degrees of competition depending on how far away someone is from your business. The best way to ensure you are getting the maximum ROI for your Local SEO efforts is to find a well-respected SEO Agency in your area that knows the nuances of your market. 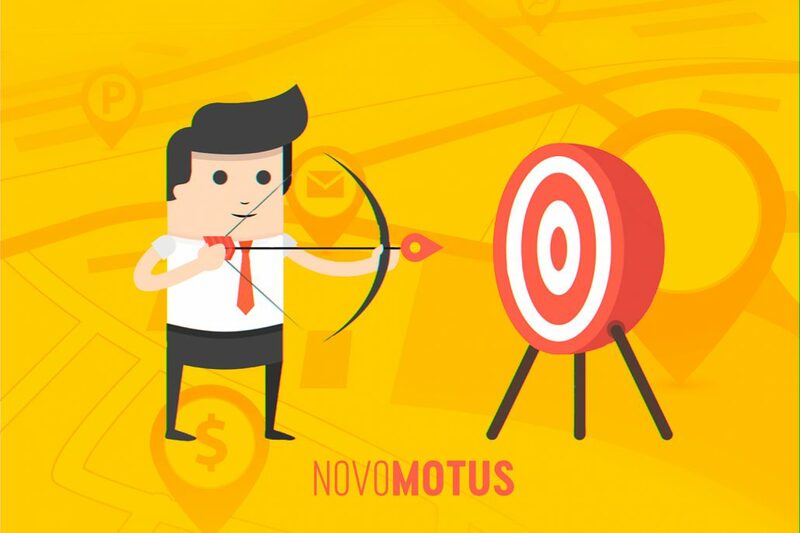 While more involved campaigns may require advanced SEO methods best-suited for Agencies, the majority of Local SEO work can be accomplished by business owners themselves, with the only expense being time.